I'm an old guy - Social Security retirement age. 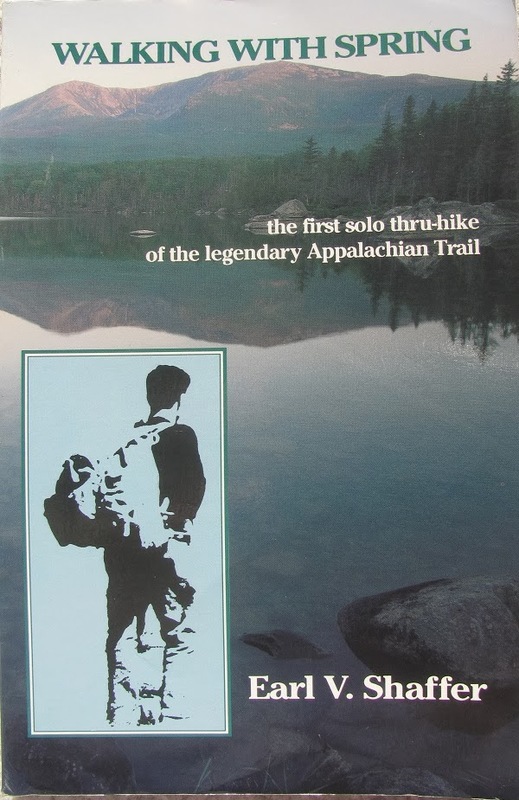 Yet Earl Shaffer accomplished what he called his 'Long Cruise' - the very first Appalachian Trail thru-hike - before I was born (but barely - I happened to be a fetus at the time). The year was 1948. When you're the very first to do something there's a wall of uncertainty surrounding the endeavor that is hard to comprehend. The conventional wisdom among those involved with and knowledgeable about the Appalachian Trail at that time was that what Earl did was impossible. In fact many people refused to believe he had done it until he convinced them via personal interviews, during which he was grilled for trail details that only a hiker would know, and via testimonials of many 'witnesses' he had met along the way. Earl and a friend had been making plans to hike the entire AT as far back as the 1930's, soon after the whole thing was finished. They lived not far from the trail in York, PA and they had gone on many backpacking trips along the trail near home. But then World War II came along. Earl found himself in combat in the South Pacific, and when he got back home he found the experiences hard to shake off. Worse, his friend did not return. In the past few years there has been a burgeoning Veteran support group known as "Warrior Hike" that advocates that returning veterans 'Hike off the War' by doing an AT thru-hike. The participants find it very therapeutic--a good way to ease back into civilian life. Earl Shaffer was undoubtedly the first Warrior Hiker. It seems to me that he quietly dedicated his hike to his friend, and I believe this helped steel his resolve to finish, despite having to find his way through sections that had been neglected and unmaintained through the war, others that had been clear cut by loggers, and still others that had been rerouted without adequate marking. There was the 'Missing Link' between the Green Mountains of VT and New Hampshire's White Mountains where the trail barely existed at all. Some of the early trail's shortcomings probably motivated Earl to want to help make the experience for other hikers better. After his hike, Earl went on to have a long distinguished career of service for the Trail. He knew most of the true legends, including Myron Avery and Benton MacKaye, to whom he dedicated his book. And it's a testimony to him that the publisher who opted to sign him was none other than the Apppalachian Trail Conference itself (now called the Appalachian Trail Conservancy). Earl didn't write his book right away. It was first published privately in 1981, then picked up by ATC and made public in 1983. But during the 'Lone Expedition' as he also called it, he maintained a diary, and words from his 'Little Black Notebook' make frequent appearances in the final text. Earl's writing style is down-to-earth, almost quaint in its old-fashioned simplicity, yet it rises to a standard of elegance and sophistication that many more recent trail memoirs are not able to match. Earl is a keen observer with a love for the history of the land, and he's a marvelous pastoral poet. The book is filled with well written verse and with descriptions of the country through which he was traveling. He describes elements of the human history of the land that I had not heard before despite my extensive reading about the trail. He covers the history of the inhabitants from pre-Columbian days, through early settlement, the civil war, to the then modern but now historic encounters with an amiable mountain man tilling his field with two mules and a walk-behind plow, a ride in a Model-A driven by a non-English-speaking Pennsylvania Dutch farmer, and Park Rangers who personally kept tabs on his progress and radioed the news north to their colleagues. His hike was a historic event, yet Earl's humble telling makes it feel personal and real. I especially delighted in his descriptions of places that I personally passed on my thru-hike in 2012--still there, still on the trail route after sixty four years. As AT hiking memoirs go, this is one of the good ones--a must read. Sounds like a good one. I'll have to check it out.